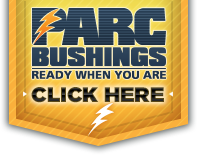 When it comes to power transformers, this is the most technical, sales and marketing expertise you’ll find under one roof. 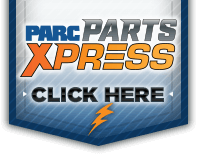 While we may be one of the world’s largest suppliers of used / rebuilt power transformers, parts and related equipment, our team of experts and customer service representatives are readily accessible to help you with your power transformer and parts needs. Their level of technical expertise and market experience is second to none. Mouse over the photos below to see each of our team members’ qualifications to provide you with the best service and know-how in the industry. Rick’s career spans 35 years, having held top management positions in several major companies in the transformer industry. He founded Power Asset and as president, along with other dedicated associates, has developed it into the top company it is today. Mark's career as a practicing CPA spans 30 years, focusing on industrial firms. He has been a member of the Power Asset team since its inception in 1998. Mark brings over 27 years of experience in the power transformer industry. He has done turnkey project management for power plant transformer replacement from 15 mVA through 880 mVA. Missy has over 12 years experience in the power transformer and associated equipment field. Her duties include office management, sales and acquisitions support and oversight. Chances are, when you call in to our office, Missy will be the voice you hear first. If you have a turnkey substation project for a utility or municipality, Jon’s the guy to help you find your best solution. 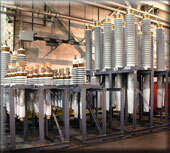 Jon is also heavily involved in the purchase and sales of power transformer accessories and components.